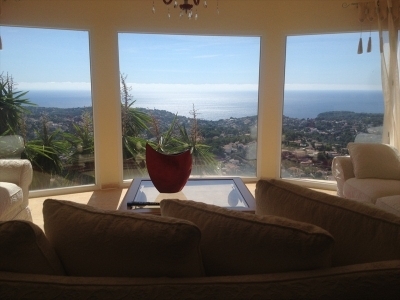 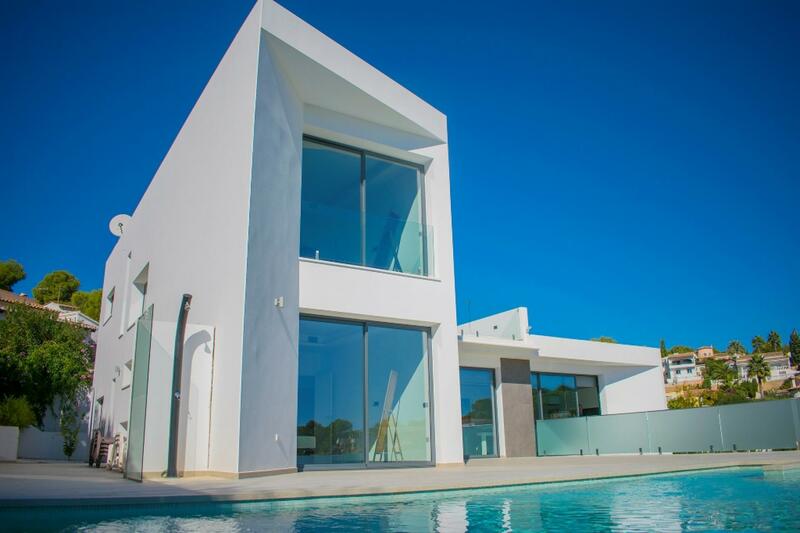 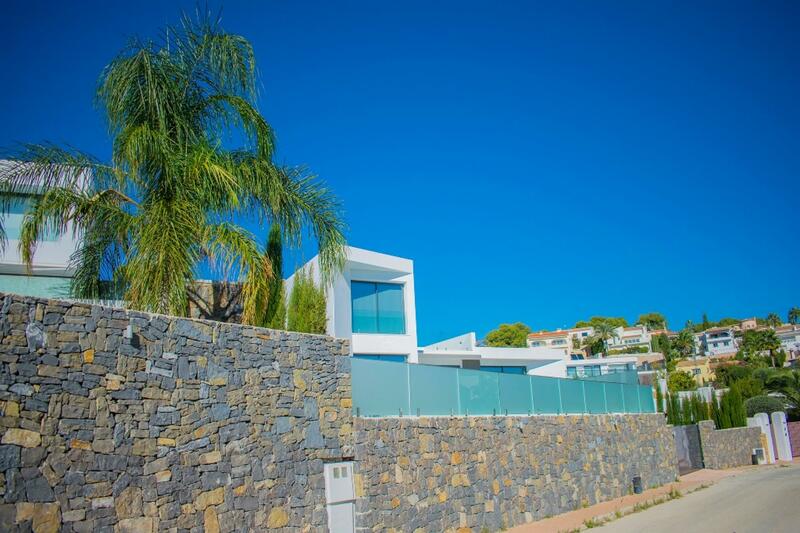 Villa with modern style and sea views on the coast of Benissa. 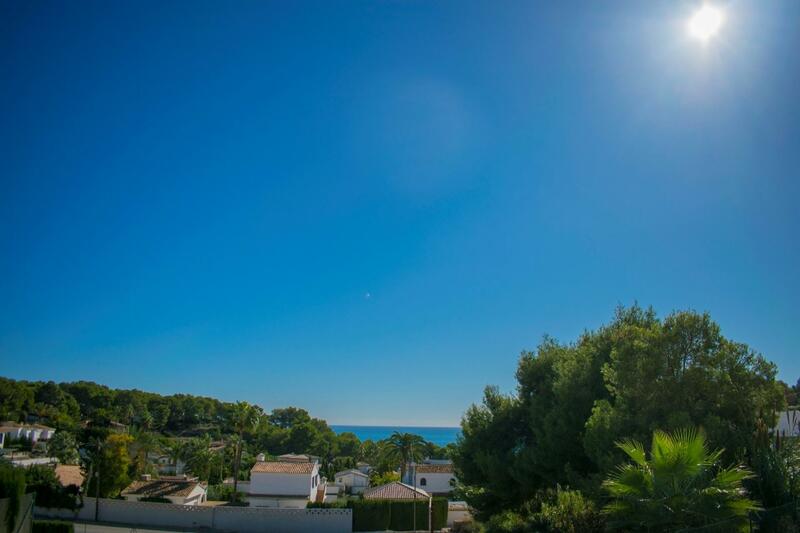 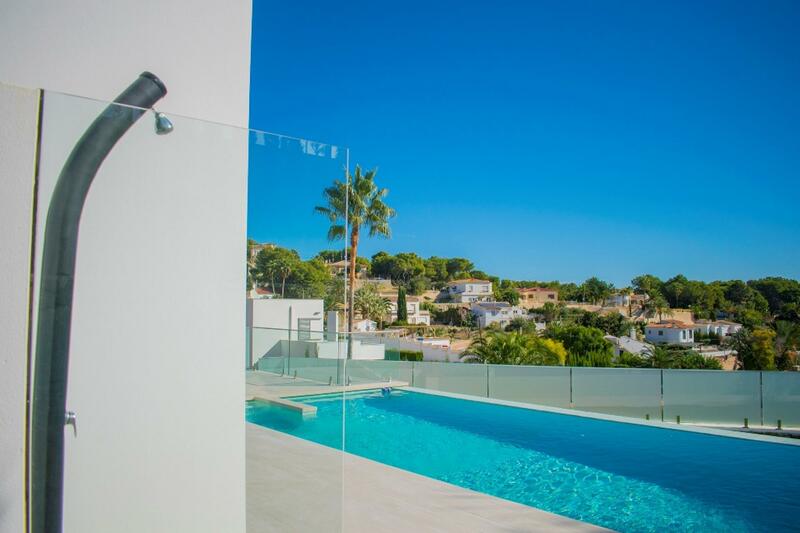 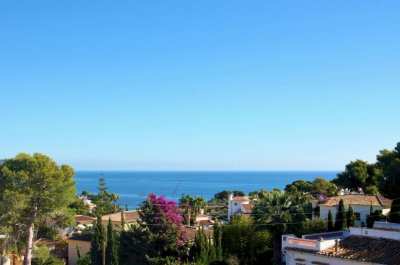 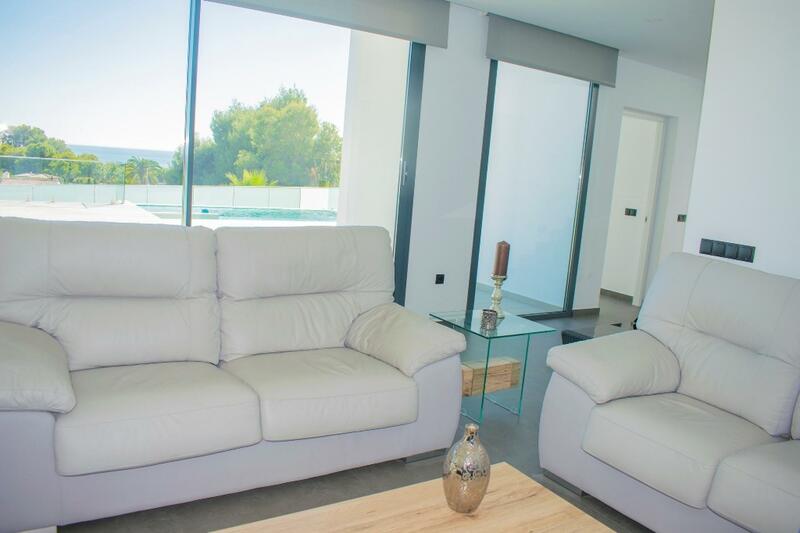 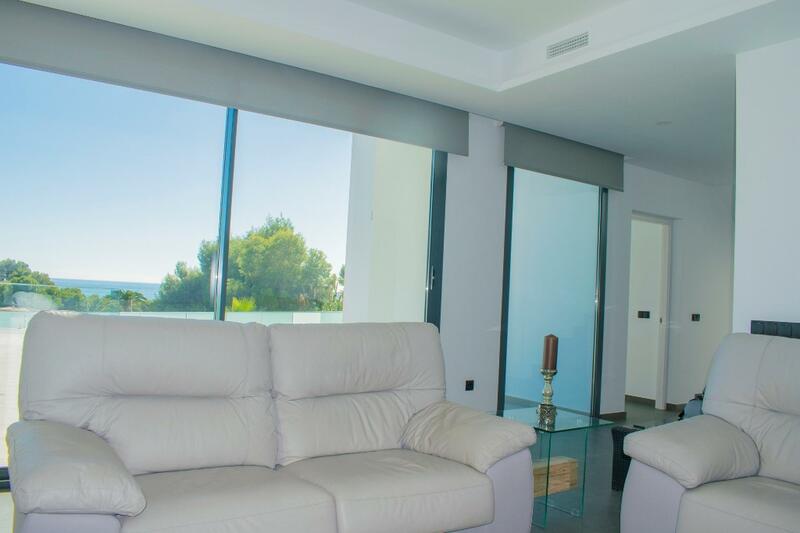 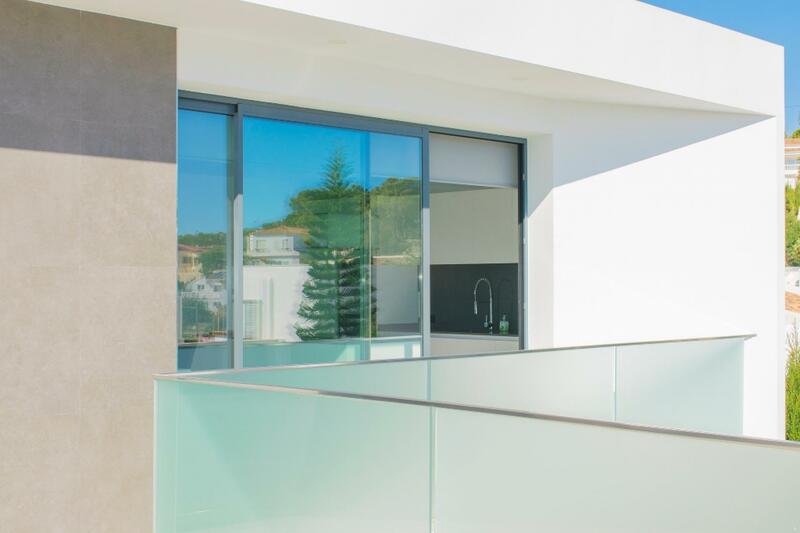 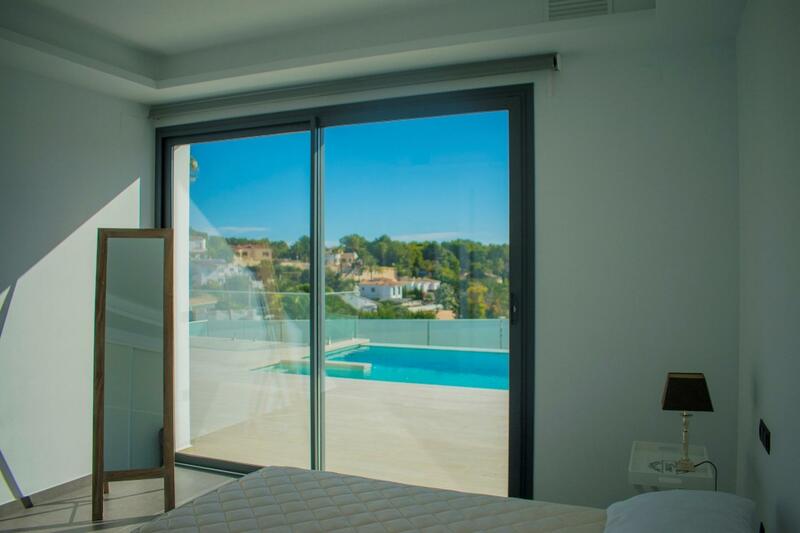 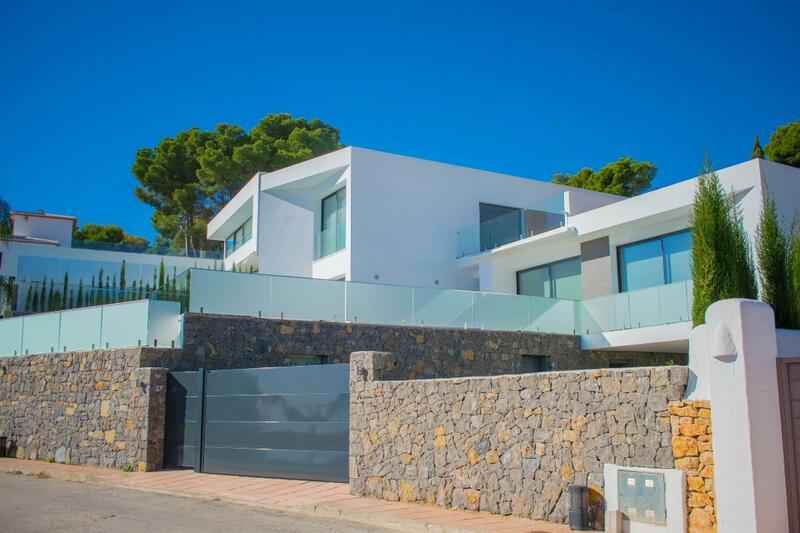 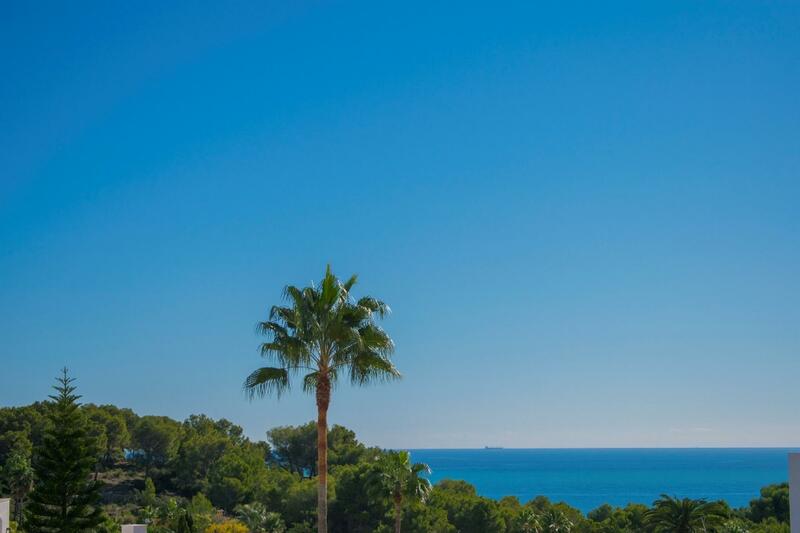 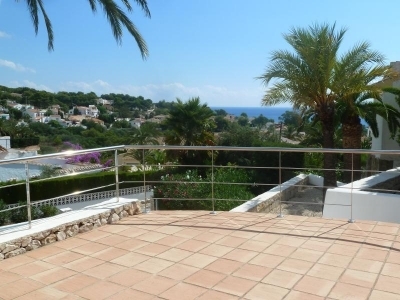 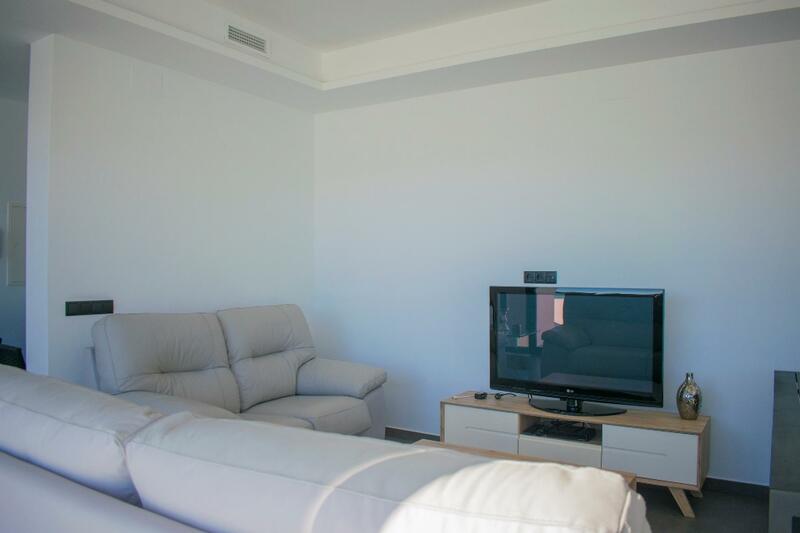 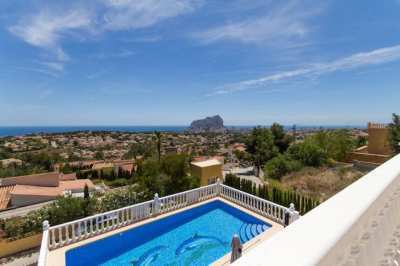 It is located just 600 metres away from the Pinets cove and a short drive between the towns of Calpe, Moraira and Benissa and their wonderful beaches. 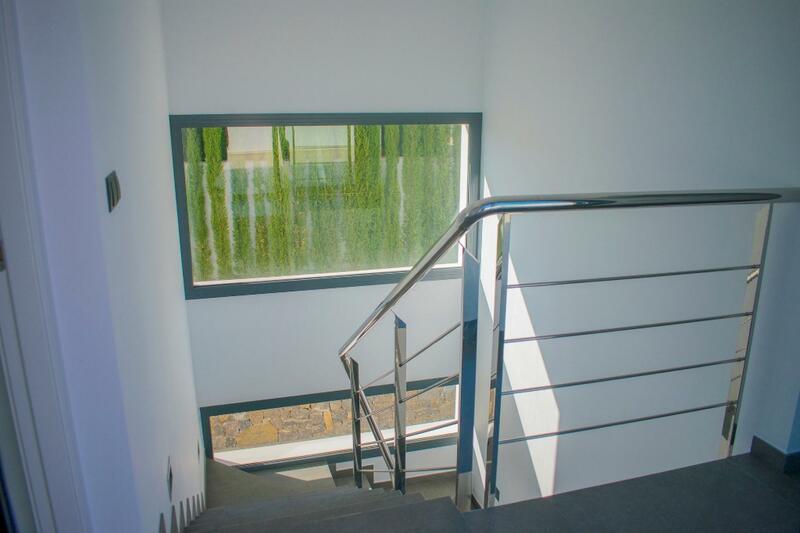 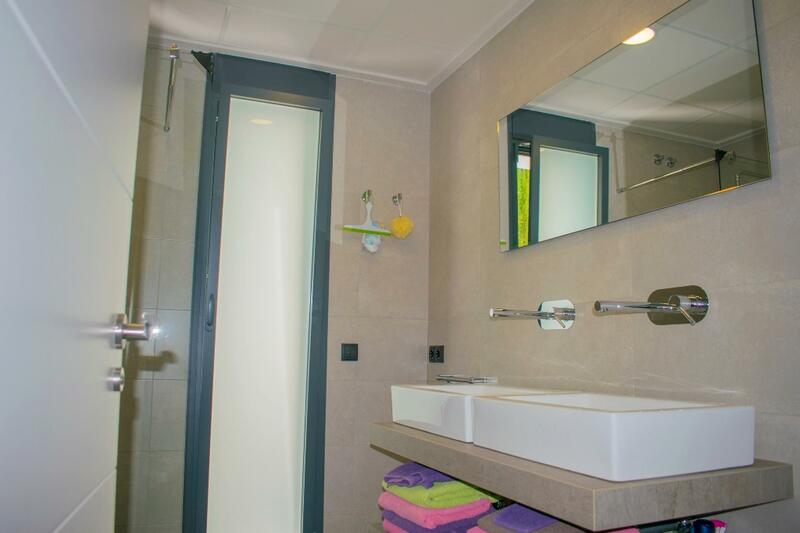 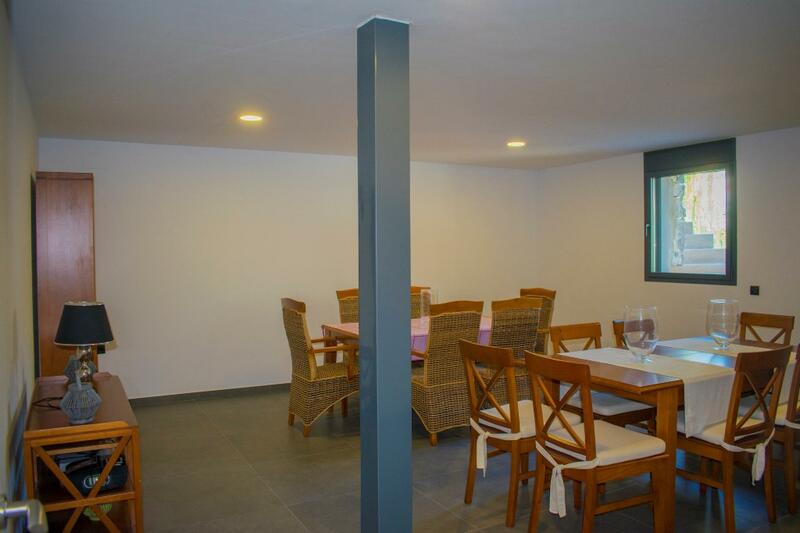 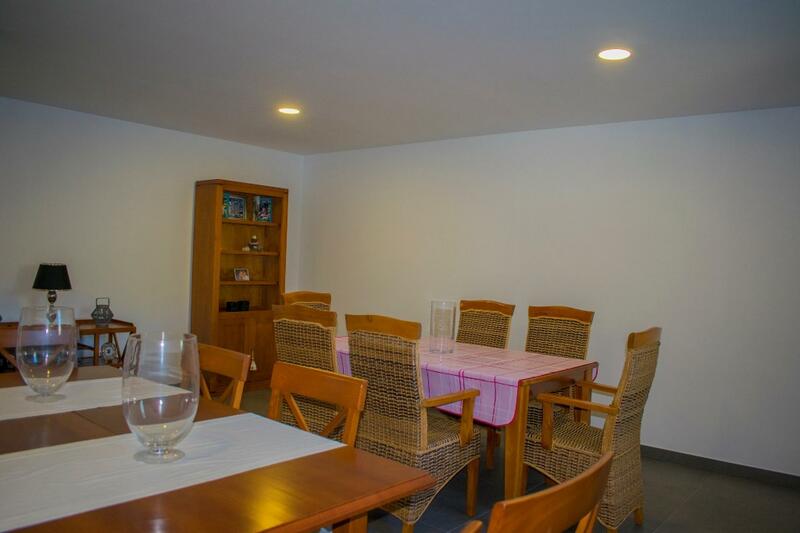 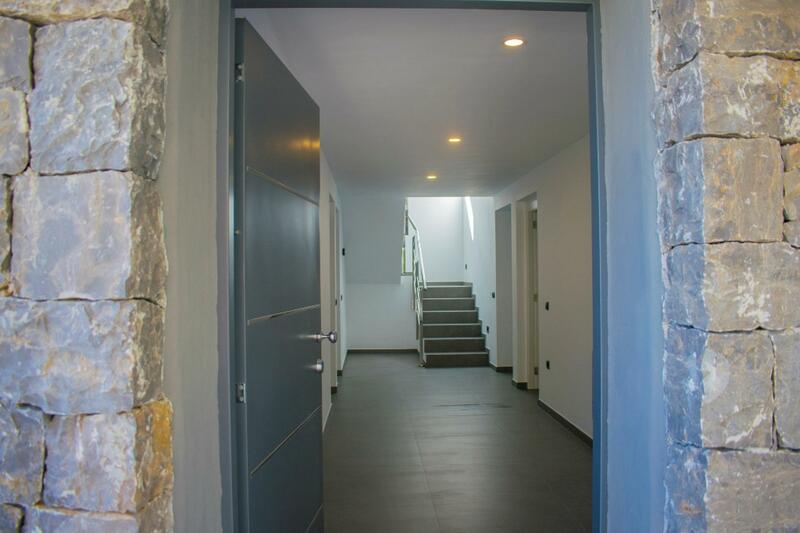 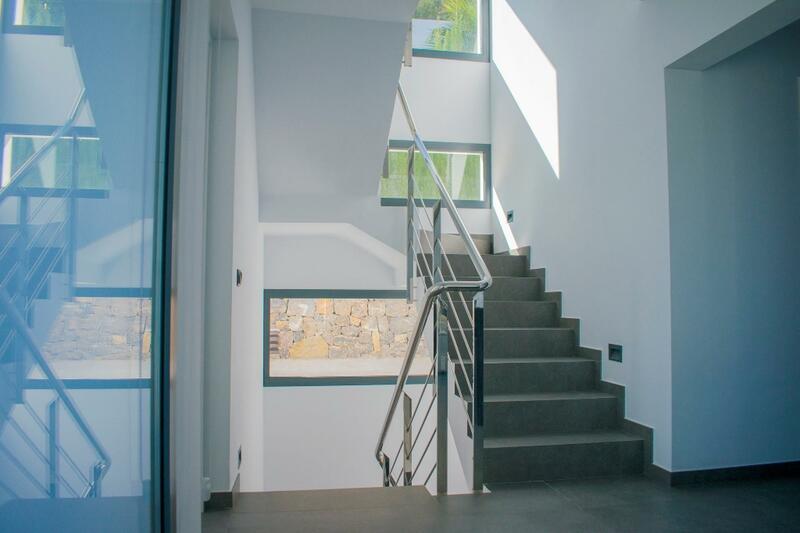 The villa faces south and is completely ready to enter and has three floors: On the basement floor there are 2 bedrooms, 1 bathroom, laundry room, storeroom and gym. 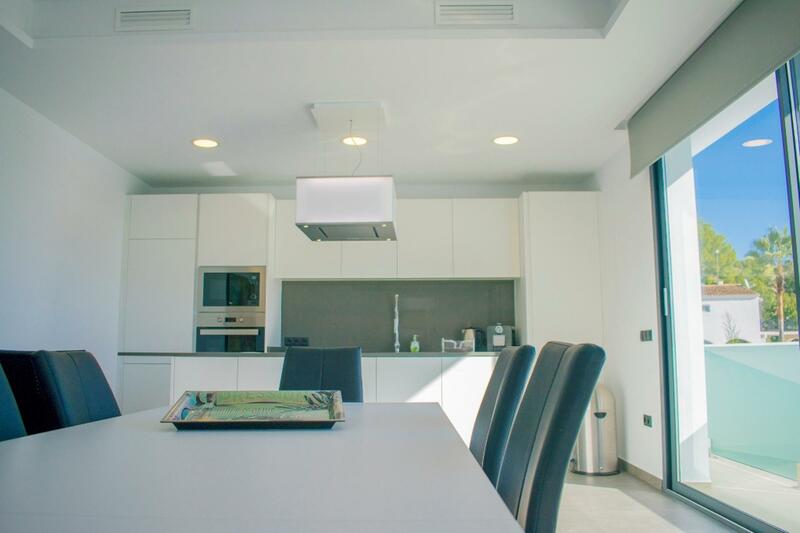 On the first floor is the modern kitchen with central island open to the living room, dining room, 2 bedrooms and 1 bathroom. 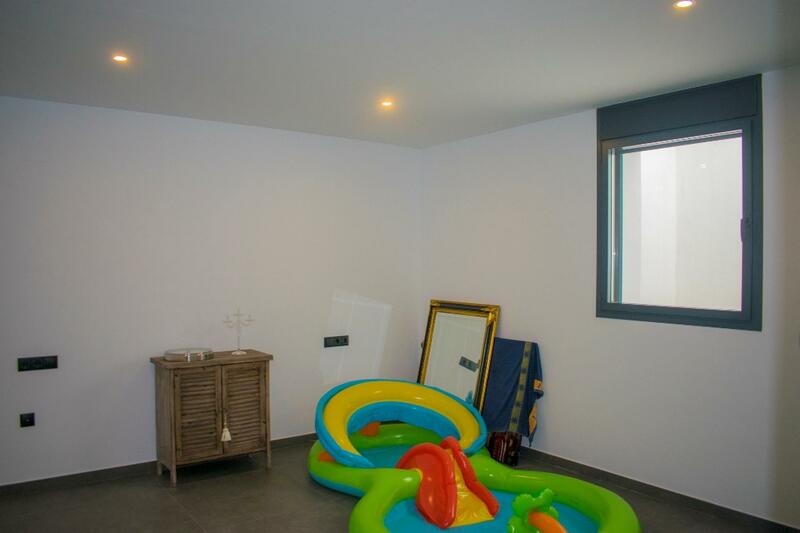 From this floor you have direct access to the pool area. 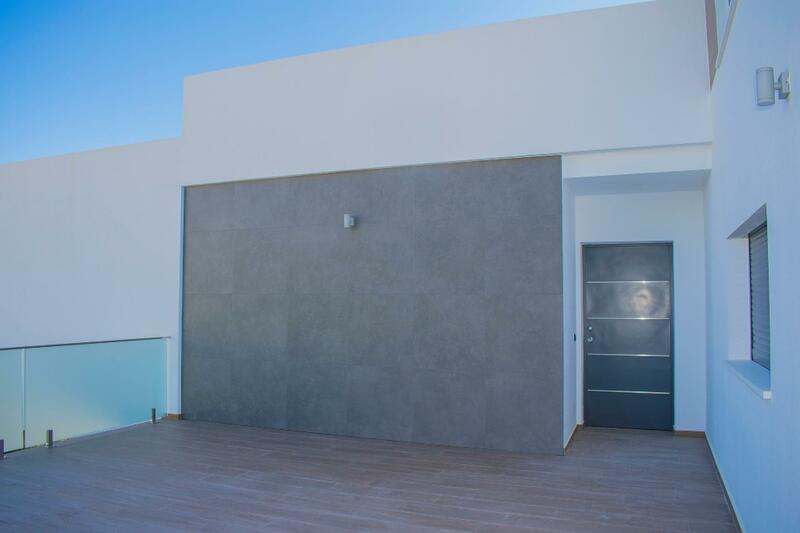 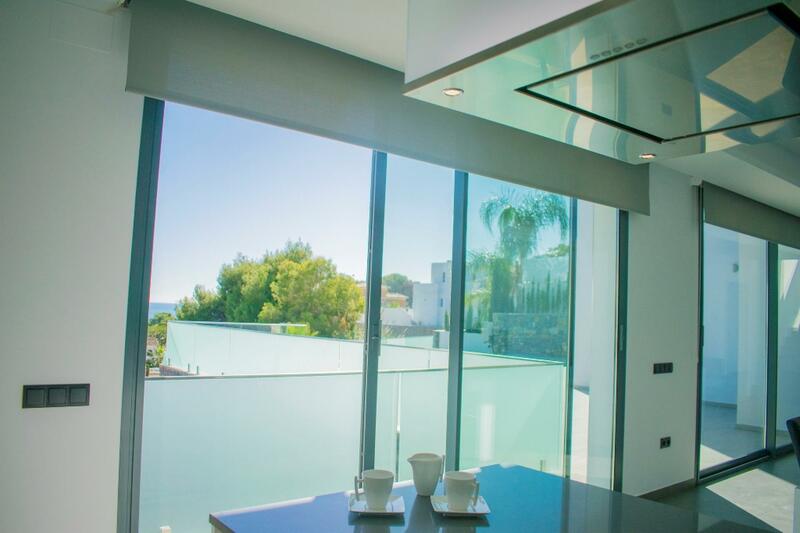 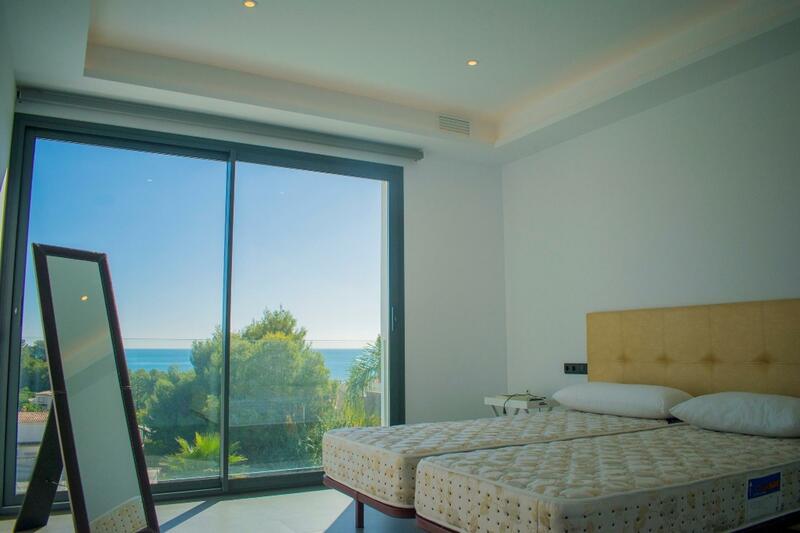 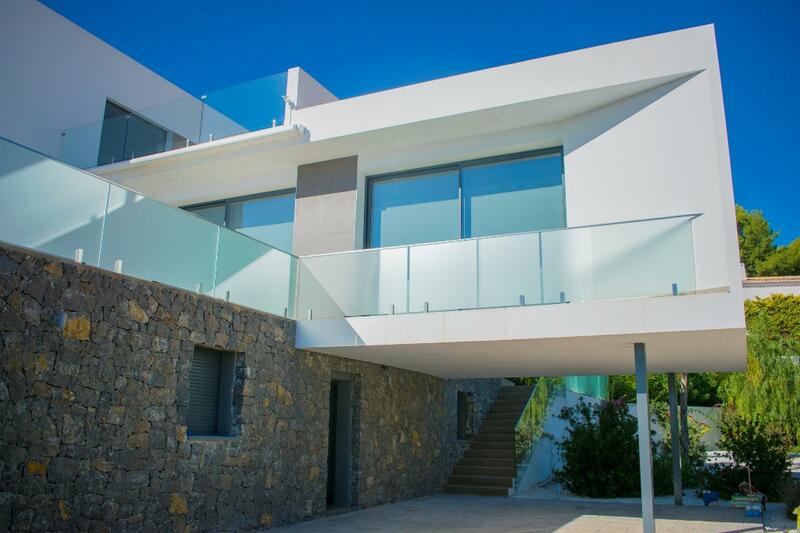 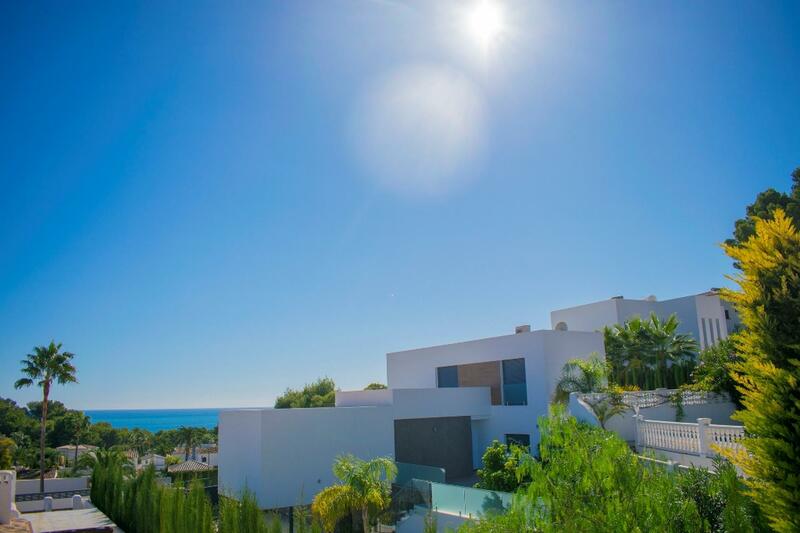 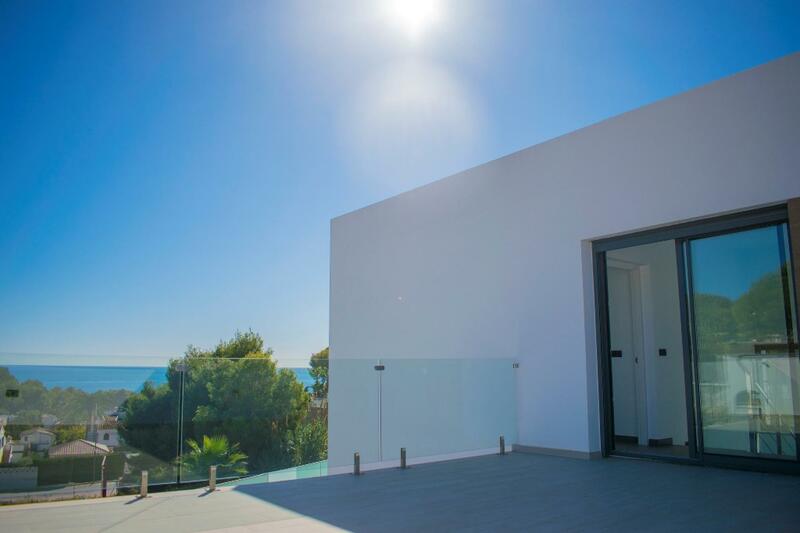 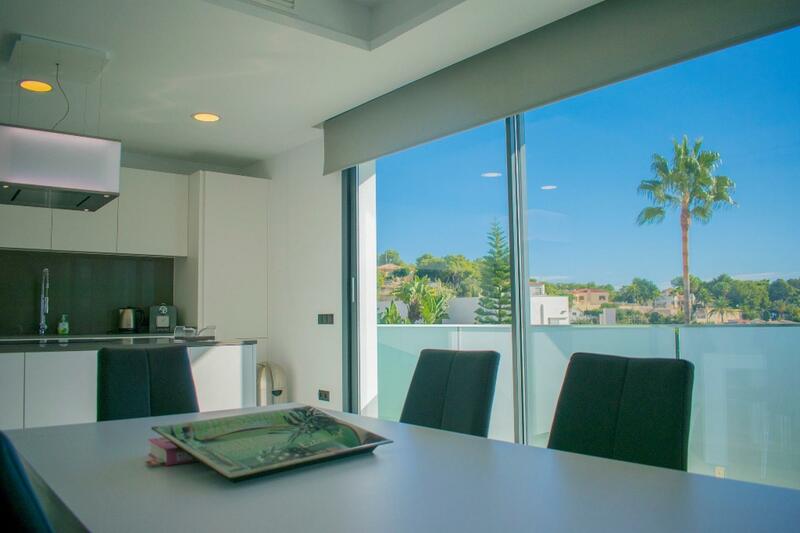 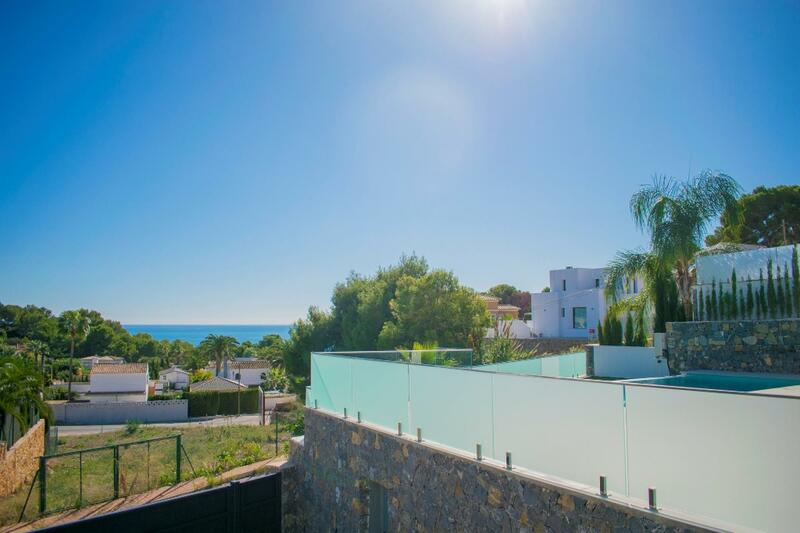 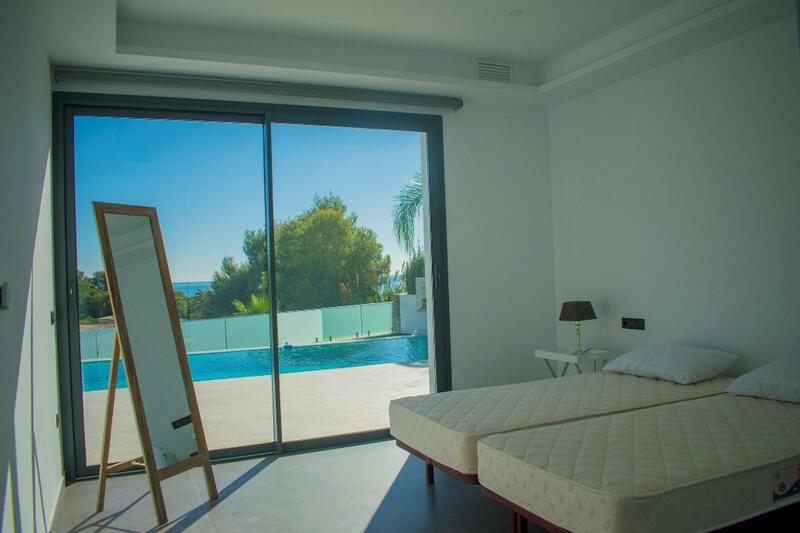 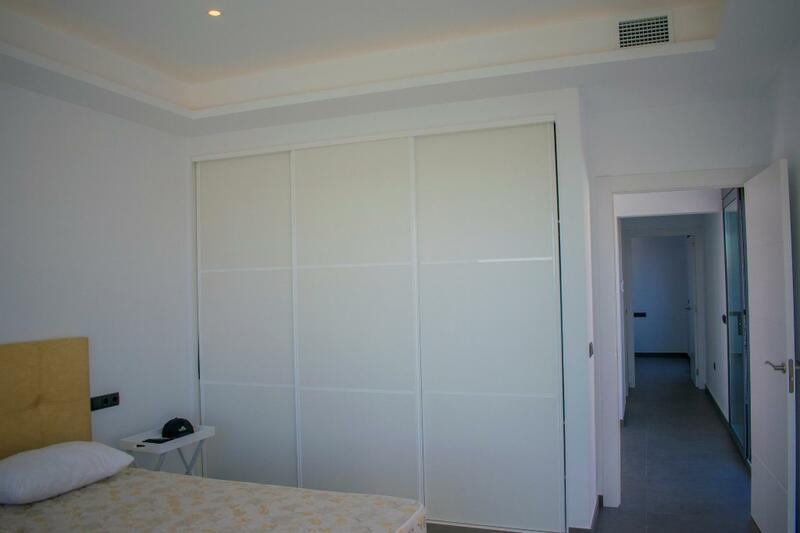 And on the top floor there are 2 bedrooms, 1 bathroom and an outdoor terrace overlooking the sea. 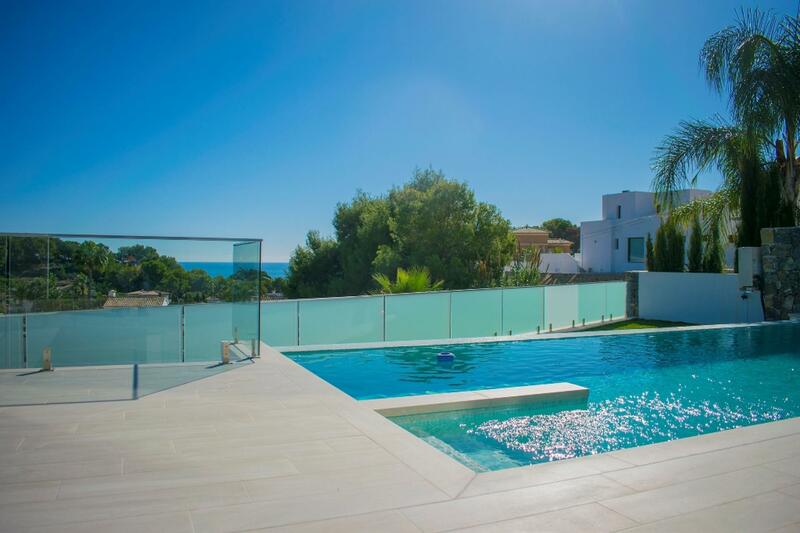 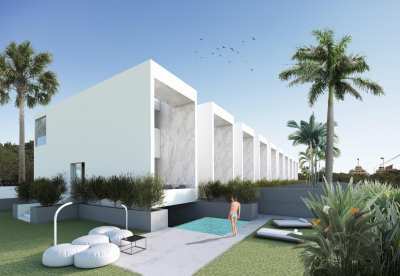 Outside swimming pools 4x9 with outdoor shower and terrace around it and several outdoor terraces, garden and parking on plot for 3 cars. 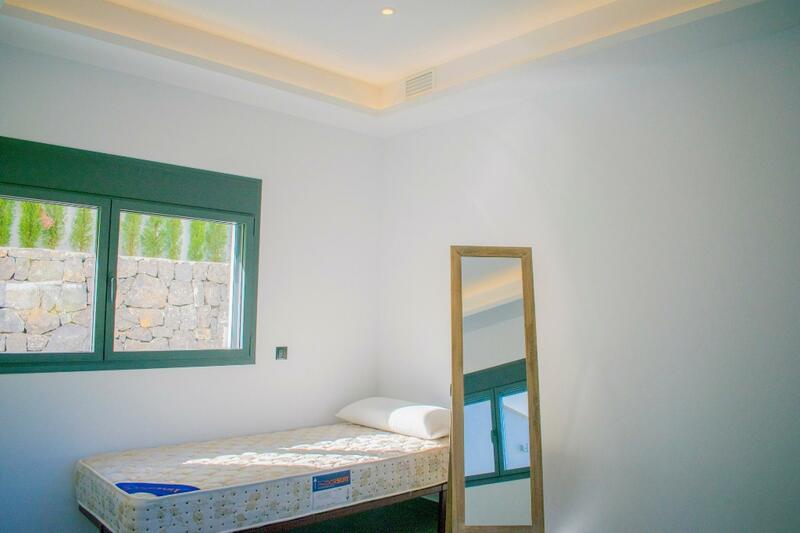 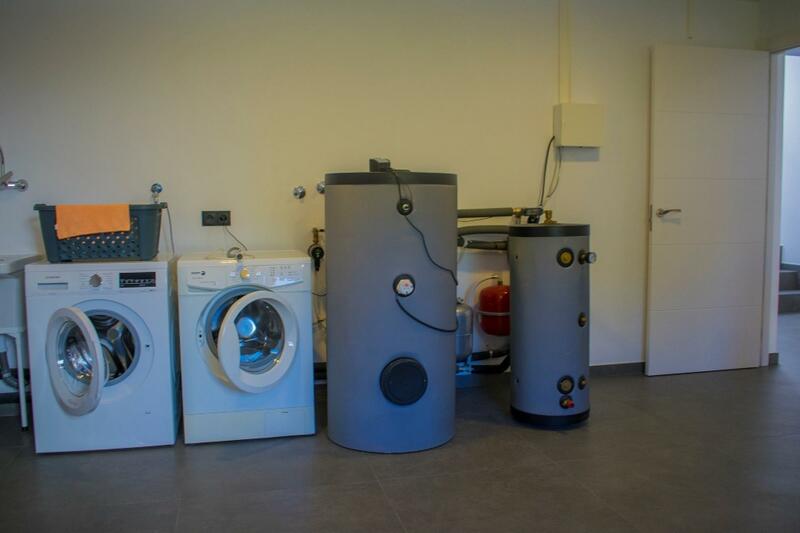 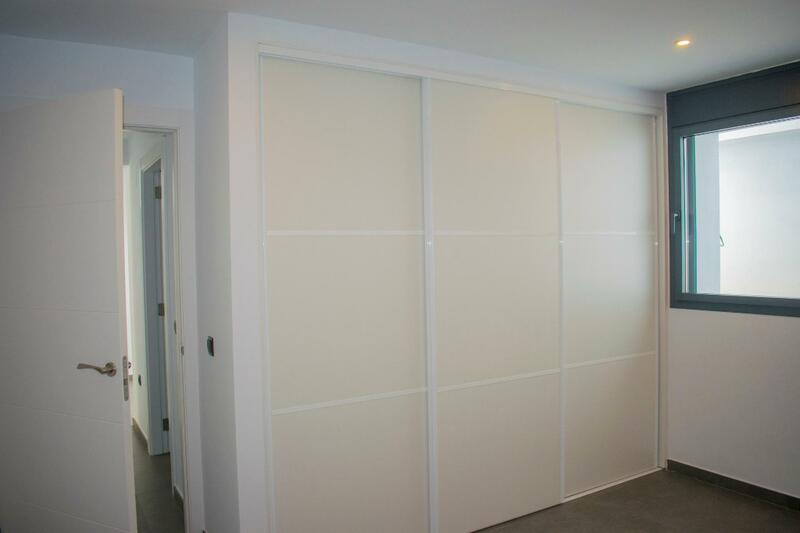 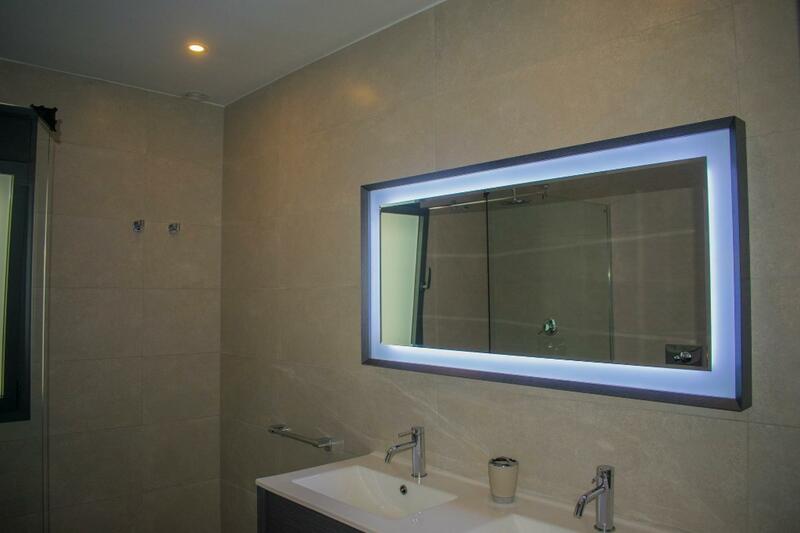 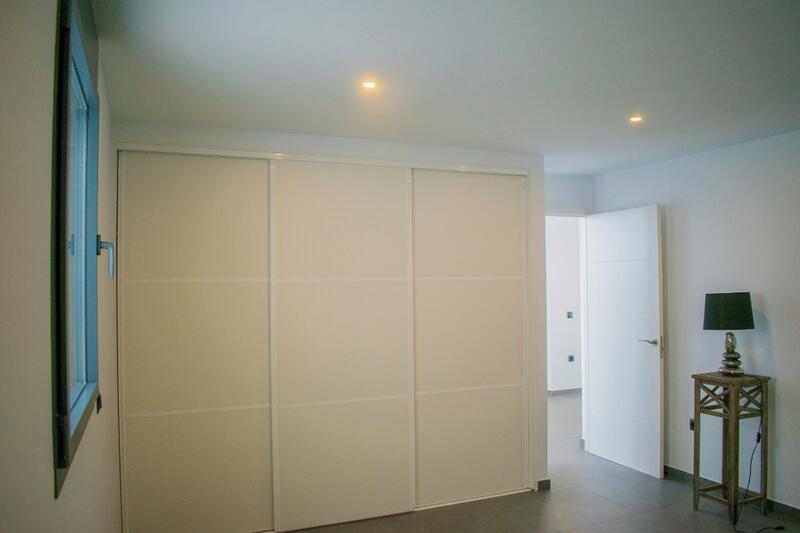 Amongst the equipment there is underfloor heating, air conditioning through ducts, built-in wardrobes, equipped bathrooms, electric blinds in windows and blinds in the rest that do not have blinds, fenced plot, sliding door with motor for vehicles and pedestrian door, satellite TV, etc.